HP LJ 1320 Black Toner Cart., 6K (Q5949X) : Disk-O-Tape, Inc. Enjoy the legendary quality and reliability of HP LaserJet printing with the HP 49X LaserJet Toner Cartridge. HP’s Smart Printing technology and specially formulated toner makes sharp, professional printing easy, reliable and cost-effective. 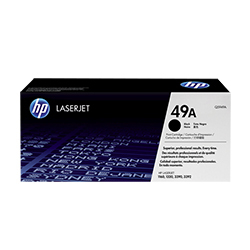 Get true HP LaserJet print quality with the specially formulated toner and proven toner cartridge technology in the HP 49X LaserJet Toner Cartridge. HP delivers sharp black text and consistent, professional results for as long as the cartridge lasts. Enjoy low maintenance printing. HP Smart technology in the print cartridge and your printer makes HP supplies easy to install and maintain. Receive automatic alerts when a cartridge is low. The HP name means it’s always easy to find replacement cartridges. 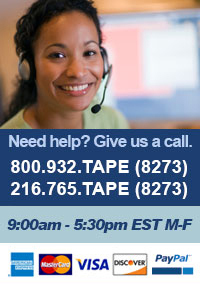 Reliable HP LaserJet toner cartridges save you the time and costs of resolving cartridge problems. Designed together with the printer to produce consistent, professional results, HP toner cartridges are an excellent value. Enjoy peace of mind with HP’s Premium Protection Print Cartridge Warranty. Page yield (black and white) Average cartridge yields 6000 standard pages. Declared yield value in accordance with ISO/IEC 19752.